The Resilient Neighbors Network (RNN) is a co-mentoring network that offers ideas and feedback to FEMA and other federal partners on how the federal government can help increase community resilience to natural hazards. The RNN advocates and researches ways that communities can work on grassroots disaster resilience and sustainability. We talked with RNN community member Bill Robison on how being involved with the RNN community benefits his community in Oklahoma. How does your community embrace disaster risk reduction? Hazard mitigation planning and implementation, The Community Rating System (CRS) and the 100RC program. Why did your community decide to join the RNN? To share ideas and strategies with other RNN communities. 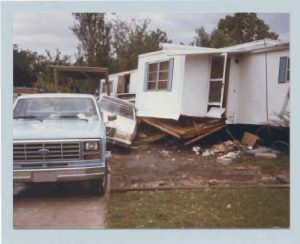 Has your community ever suffered from a natural disaster? 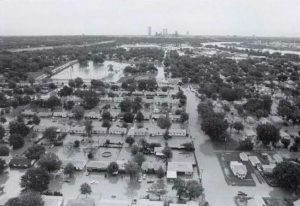 In the early 80’s Tulsa lead the country with the most declared disasters. Since that time we have become known as one of the most disaster resistant communities in the country. If so, how did your community prepare/recover from it? 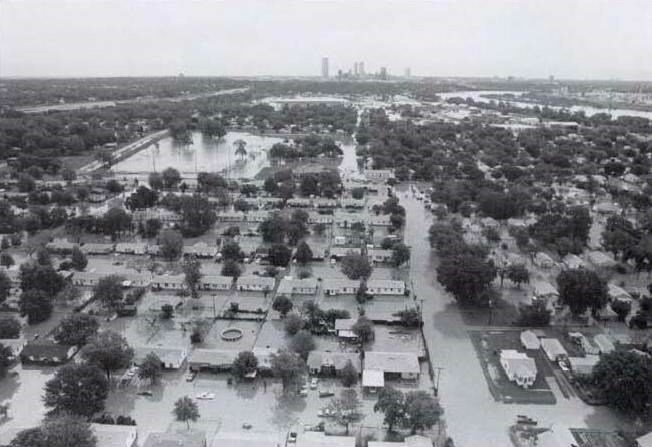 The city has spent over $500M on flood control projects since that time. Developed and implemented 3 FEMA approved hazard mitigation plans. Achieved a Class 2 CRS rating. What has your community learned from being a part of the RNN? 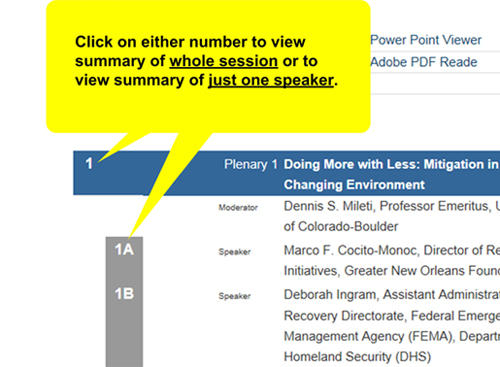 The need for pre-disaster planning for post-disaster recovery among other things. How, in your opinion, can communities benefit from joining the RNN? Learning from past experiences and networking with other communities. Travis Meyer with KOTV, Channel 6 did an excellent story on the flood, click here to see the video. 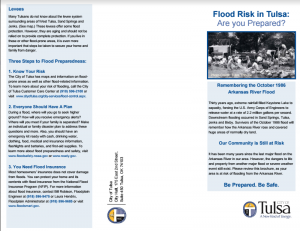 Below is a brochure that the City of Tulsa is mailing to about 3,600 property owners in the areas inundated above the 1% flood level and those in levee protected areas. All this is in an effort to raise awareness that we are still at risk. We talked with RNN community member Rebecca Joyce on how being involved with the RNN community benefits her rural community in Virginia. Our community is the Central Shenandoah Valley Region which is in western Virginia in the Appalachian Mountains and is made up of 21 local jurisdictions – 5 Counties, 5 Cities, and 11 Towns. We are a rural area with cities that are urban centers. Our Region has embraced disaster risk reduction out of necessity because we are vulnerable to many types of natural hazards and severe weather. We implement disaster risk reduction through three ways; education and public awareness, hazard mitigation planning, and hazard mitigation projects. We approach disaster risk reduction holistically and understand to create more resilient communities, we need to educate our citizens, plan for ways to reduce our vulnerabilities now and in the future, and implement projects that reduce our risks. The Central Shenandoah Valley Region decided to join the RNN because when we began our hazard mitigation work over twenty years ago, the field was relatively new and we didn’t have other communities that we could contact for assistance or information. As a Region, we were on our own in how we developed our program, gathered resources and knowledge, and implemented projects. We thought the RNN would be a great way to share our experiences and challenges to help other communities starting out with disaster risk reduction. Also, we have learned that this field is very complex and rapidly changing and we thought that we could learn much from the other RNN communities. Our Region’s most significant natural hazards are flooding and winter storms but we deal with a variety of natural hazards and severe weather. 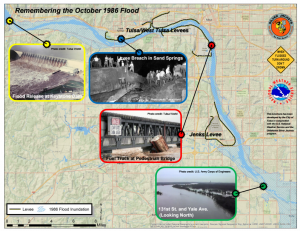 Our largest flood events have been associated with tropical systems and include Hurricane Camille in 1969, Hurricane Agnes in 1972, Hurricane Juan in 1985, Hurricane Fran in 1996, and Hurricane Isabel in 2003. 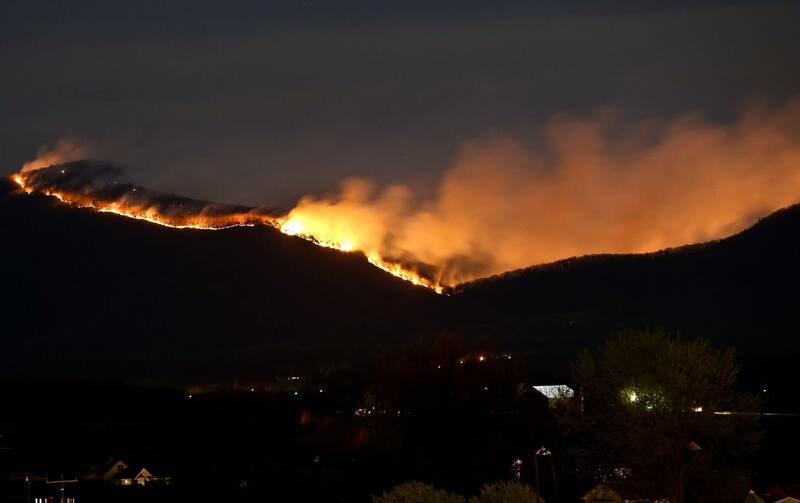 In the last 5 years we have dealt with several winter storms that have dropped several feet of snow, tornadoes, a derecho, and most recently, a large wildfire in the Shenandoah National Park. The communities in our Region prepare for disasters through excellent planning such as Emergency Operations Plans (EOPs); Hazardous Materials Emergency Response Plans (HMERPs); and one community even has a Community Wildfire Preparedness Plan (CWPP). As a region, we also have an All Hazards Mitigation Plan that assesses risks and prioritizes mitigation projects. Shenandoah Valley Project Impact is our regional disaster preparedness and mitigation education program that educates on citizens how to protect their families, properties, and businesses. Because our Region is a rural area, the local jurisdictions have to work extremely well together because of limited personnel and resources. But it is the limited personnel and resources that can make recovery from a natural disaster difficult so anything we can do before a natural disaster to educate citizens, prepare communities, and reduce risk is essential. RNN is truly a collaborative environment where communities can share and learn from each other. We have learned that the variety of locations, sizes, and types of RNN communities is a unique asset because it creates a broad base of knowledge that individual RNN communities can tap into when they need expertise to assist them with challenges they are facing in their individual community. All the RNN communities are always willing to assist fellow communities by providing information and connections to resources whenever they can. Communities can benefit from joining the RNN because it gives them the chance to connect with peers in communities across the United States that are making strides in Disaster Risk Reduction. By joining the RNN, communities not only have access to the expertise of other RNN communities, they also have the ability to share their experiences and the challenges they face in their hazard mitigation and resiliency efforts. Participation in RNN gives a community access to resources and the opportunity to further the efforts of Disaster Risk Reduction throughout the U.S.
At the Natural Hazard Mitigation Association (NHMA), we are tremendously supportive of the proposed Public Assistance Program (PA) Deductible because it has the potential to reinforce and support one of our core tenets: that we as a Nation must, state-by-state and community-by-community, establish higher development standards to be more resilient and to reduce future risk. While these types of efforts are sometimes associated with upfront higher costs, a careful and reasonably constructed program will actually have the potential to save vastly more costs in the long run and lead to a more resilient and prosperous community. We also strongly support the investment and commitment of individual states, tribes and local governments to enact and implement natural hazard mitigation measures. At the 2016 Building Innovation Conference and Expo, sponsored by the National Institute of Building Sciences, Dr. Keith Porter suggested that if the goal of building codes were to be resilience, costs would increase about 1%; the savings in areas prone to earthquakes would be many multiples of the extra costs. In following the earthquake example in the above paragraph, earthquake codes could be modified as Dr. Porter suggests from current standards to a more holistic one: “Ordinary buildings in earthquakes will: ‘Avoid serious injury and life loss due to structural collapse, substantial damage to nonstructural components and systems, and release of hazardous materials, and be largely habitable or functional.”’ [Emphasis added] The codes should be modified for other foreseeable natural hazards as well to incorporate resilient standards into our development practices and avoid the costly scenario of losses and future retrofits. “As the… report (FA-223/June 2002) very clearly indicates, the success of America’s fire services over the past 100 years is instructive for the strength and sustainability of America’s communities for the next 100 years as well. 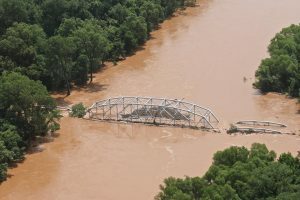 Today, we must not only continue and reinvigorate our successes, but also expand them to include the natural and man-made threats that each of our counties, cities, towns and villages face every day – floods, earthquakes, hurricanes, hazardous material spills, highway accidents, acts of terrorism, and so much more.” [Emphasis added] In addition, the FEMA National Flood Insurance Program (NFIP) Community Rating System (CRS), has also successfully provided incentives for communities to exceed floodplain standards. The lessons drawn from the establishment and enhancement of CRS is to first identify the most important and meaningful activities that earn incentives. By definition, these would be activities that represent best practices and can demonstrate measurable improvement. Lastly, NHMA encourages FEMA to use its existing authority under Section 323 of the Stafford Act (PL 93-288), which can require safe land use and construction practices, to help achieve the implementation of the PA Deductible. 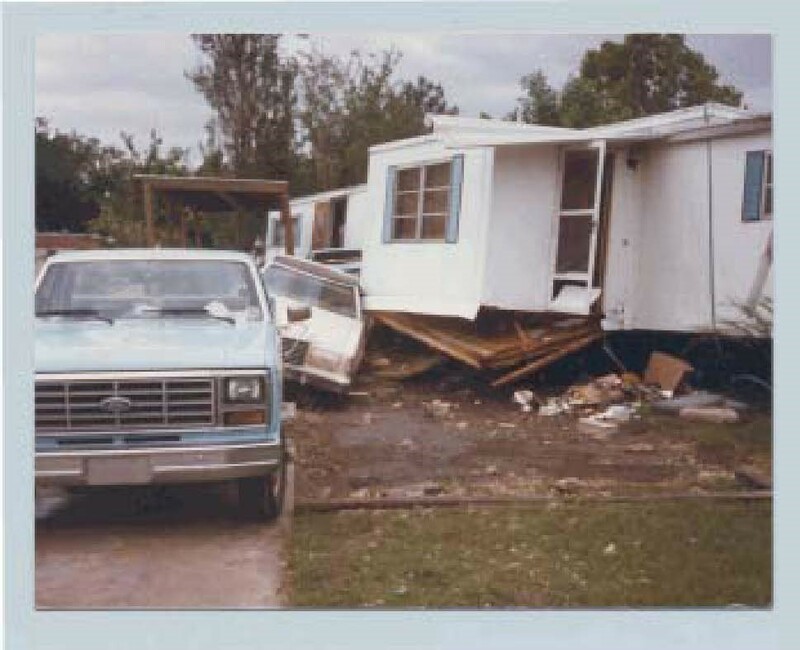 • Enhanced State Hazard Mitigation Plan (SHMP) that is not only approved by FEMA, but documentation shows that it is routinely updated/implemented through a plan maintenance process that involves all state agencies, as appropriate (i.e., not limited to a one-agency plan). • Adoption and compliance with statewide hazard disclosure laws for realtors, lenders, etc. 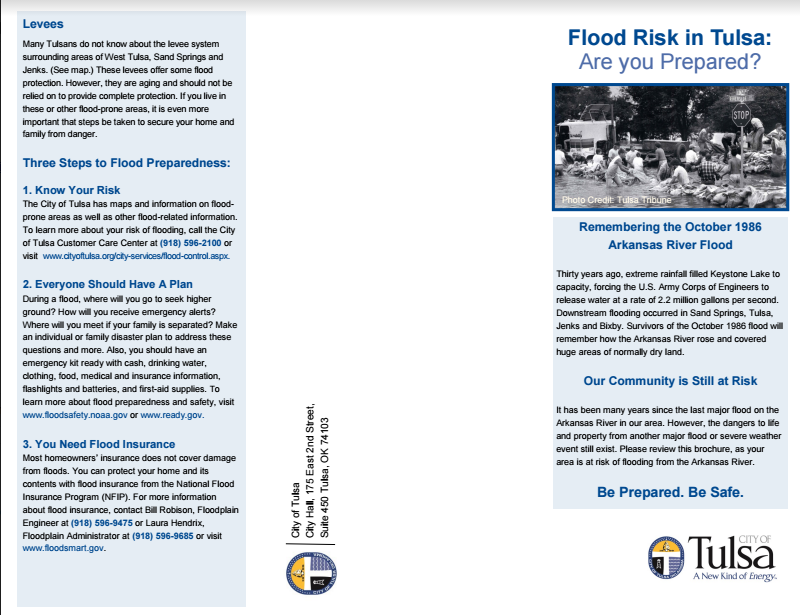 • Documentation of other risk-based but non-regulatory approaches to planning for disaster resilience (e.g., local incentives, education/outreach campaigns, guidance, etc.). • Documentation that a portion of the local government’s financial resources are dedicated to disaster damage risk reduction outcomes (e.g., similar to the “10% Resilience Pledge” under the Rockefeller Foundation’s 100 Resilient Cities Challenge).